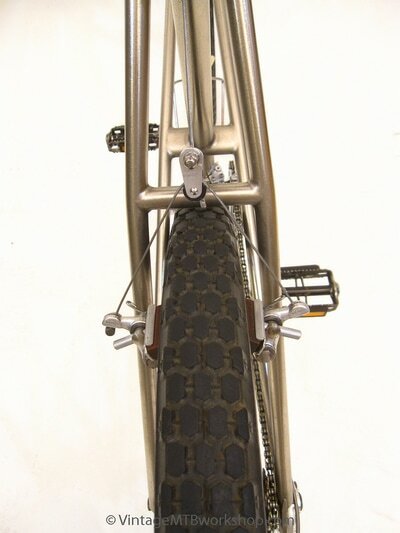 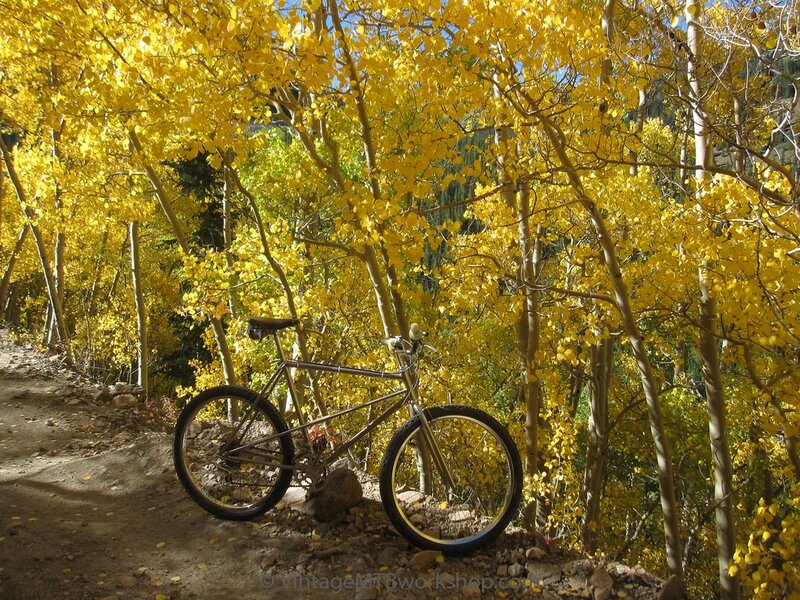 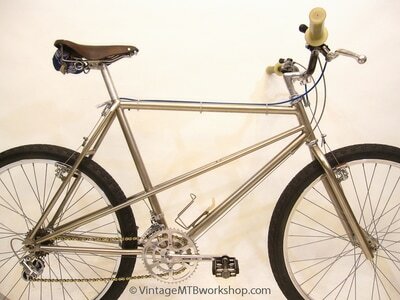 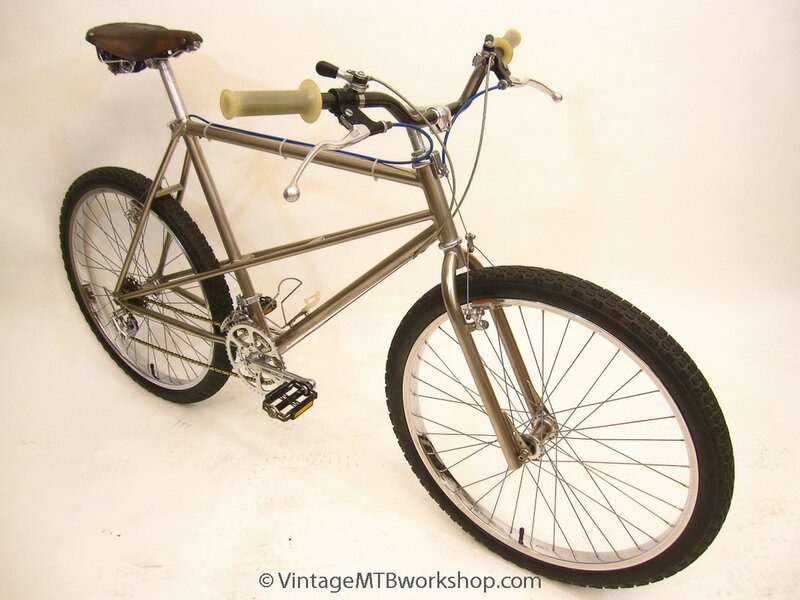 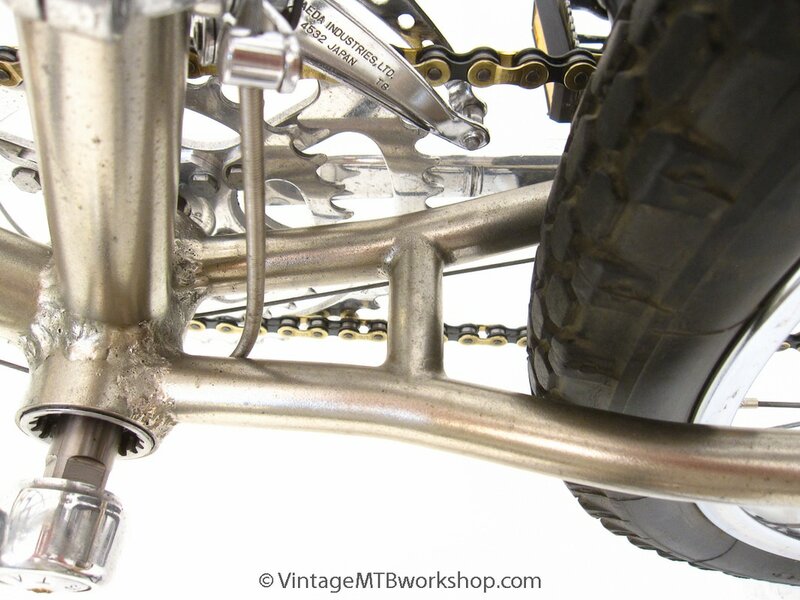 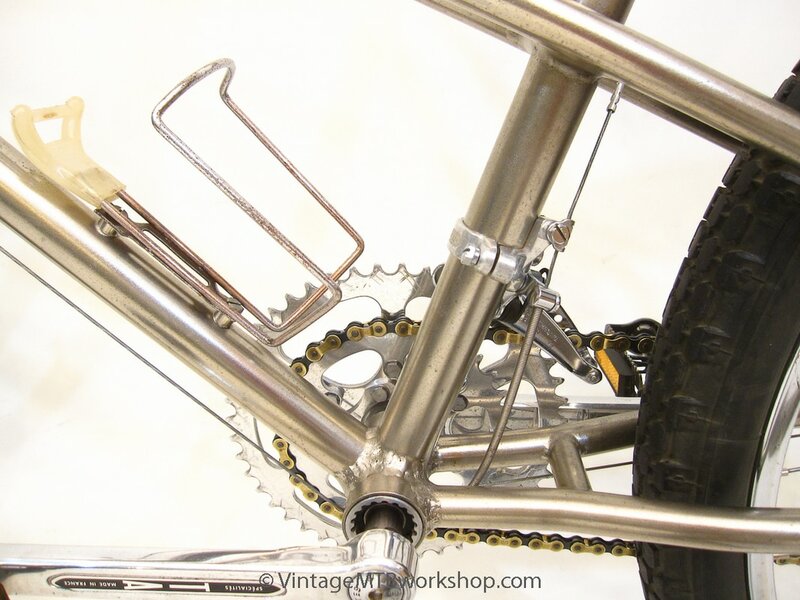 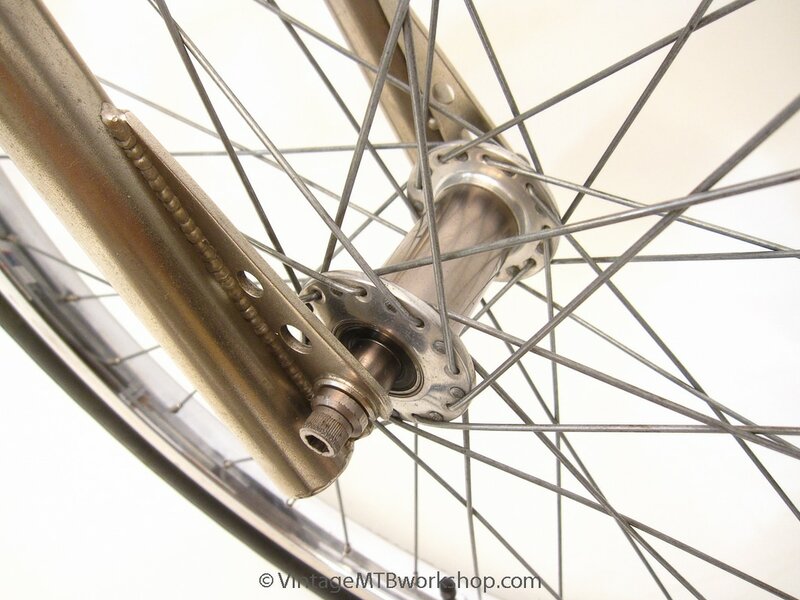 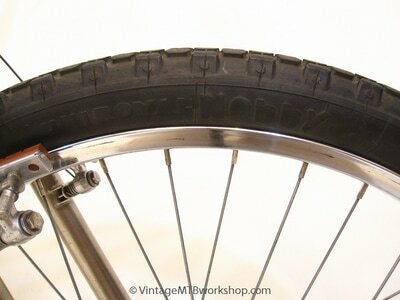 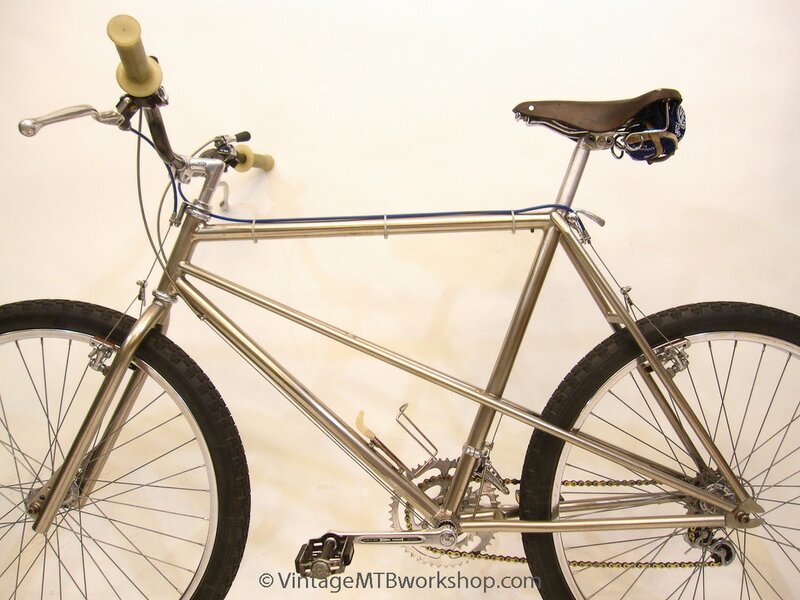 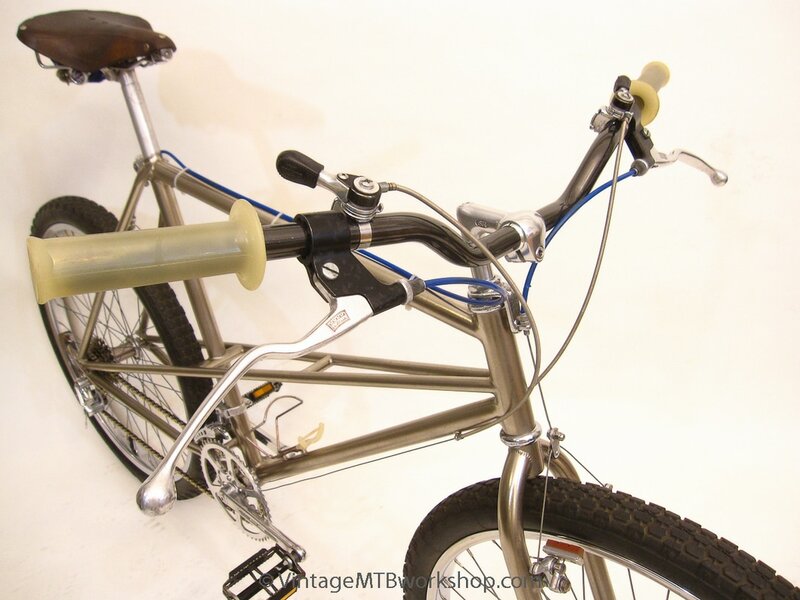 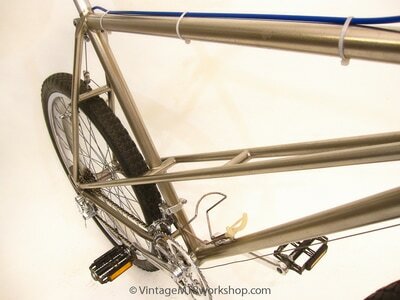 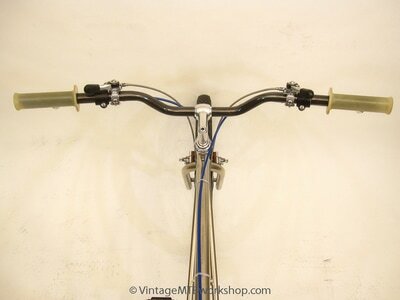 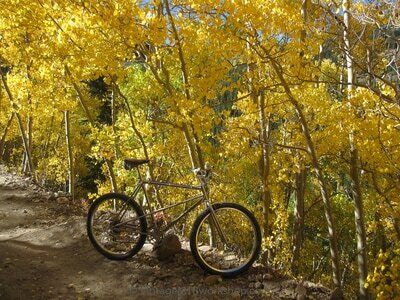 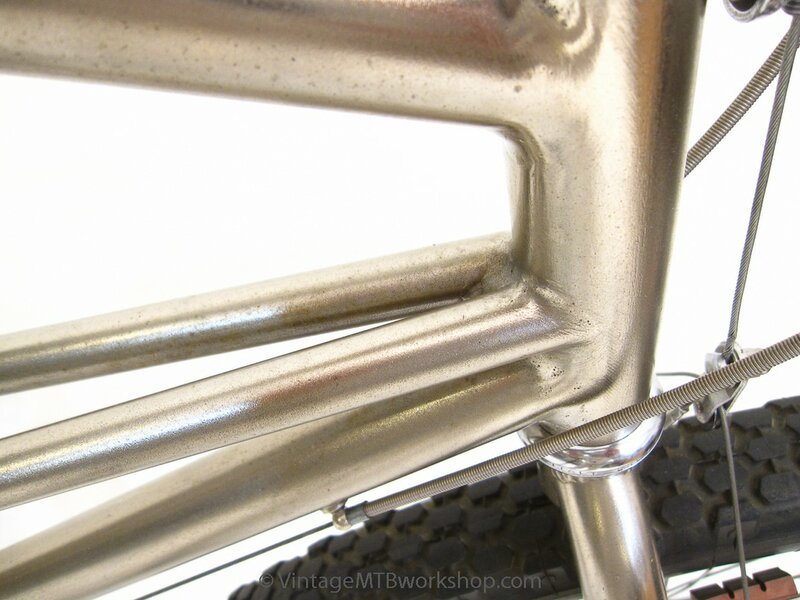 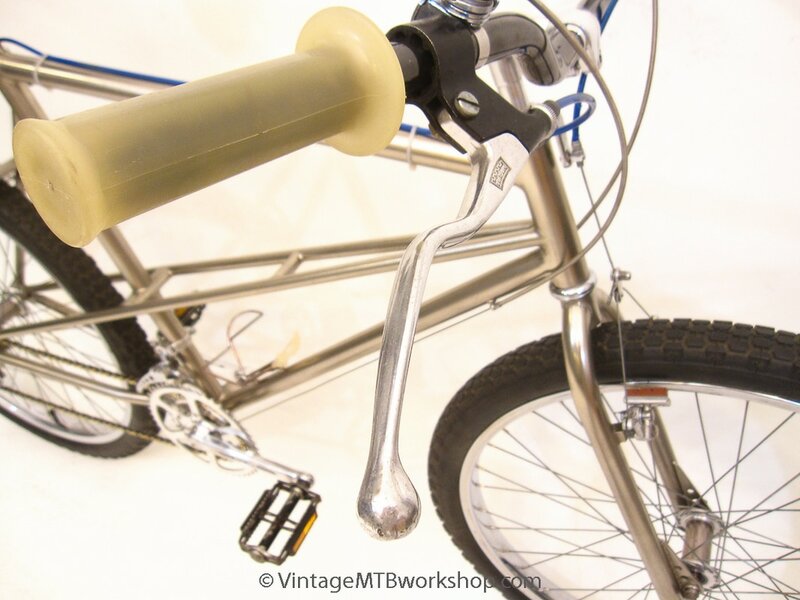 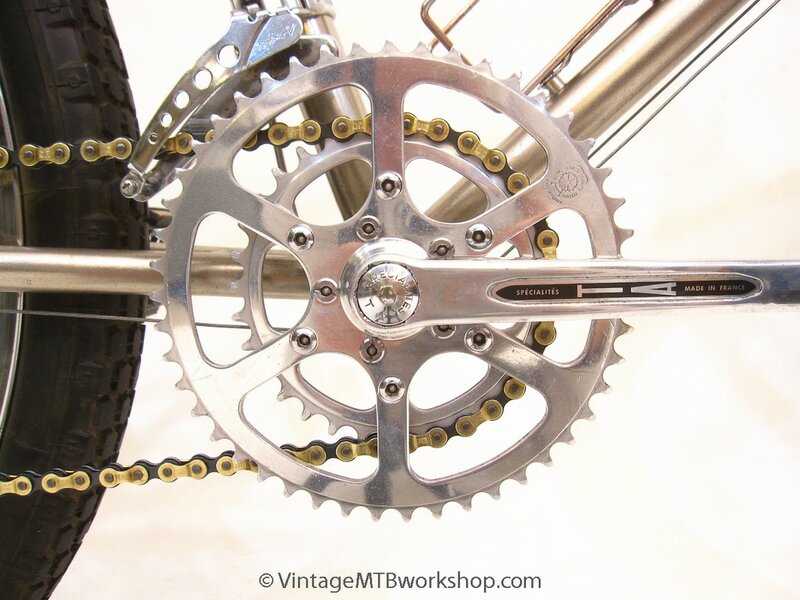 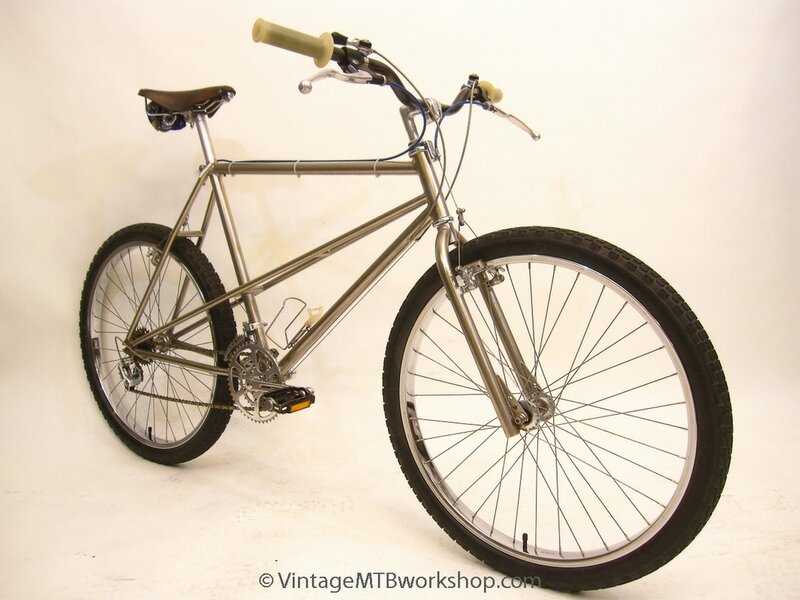 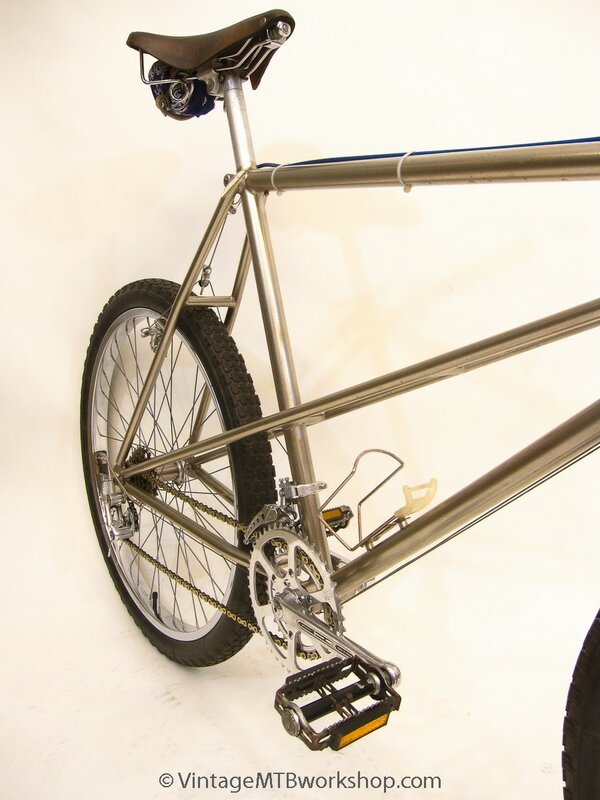 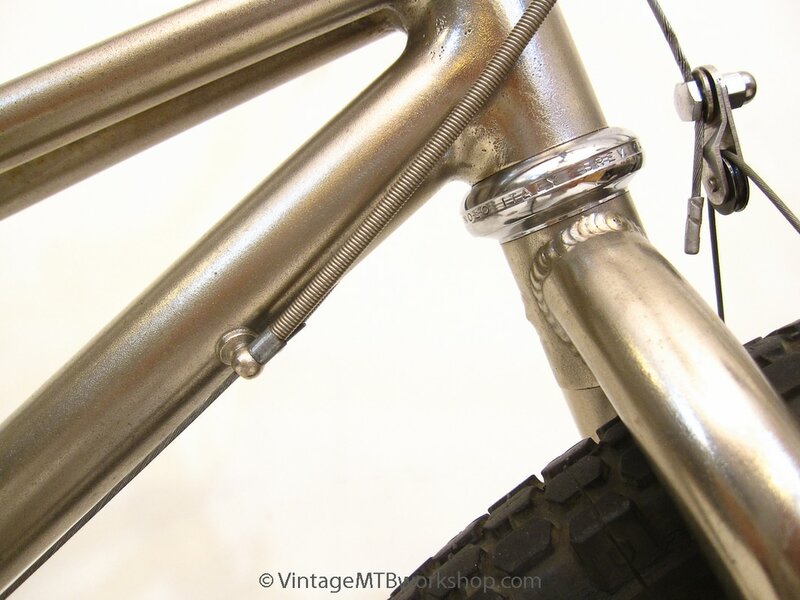 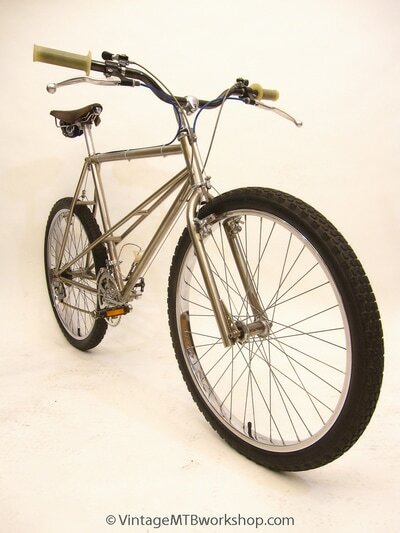 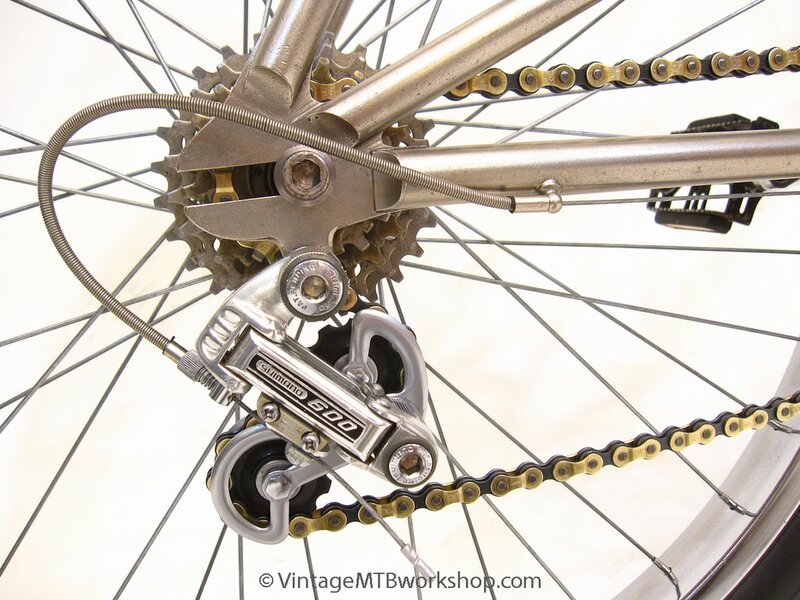 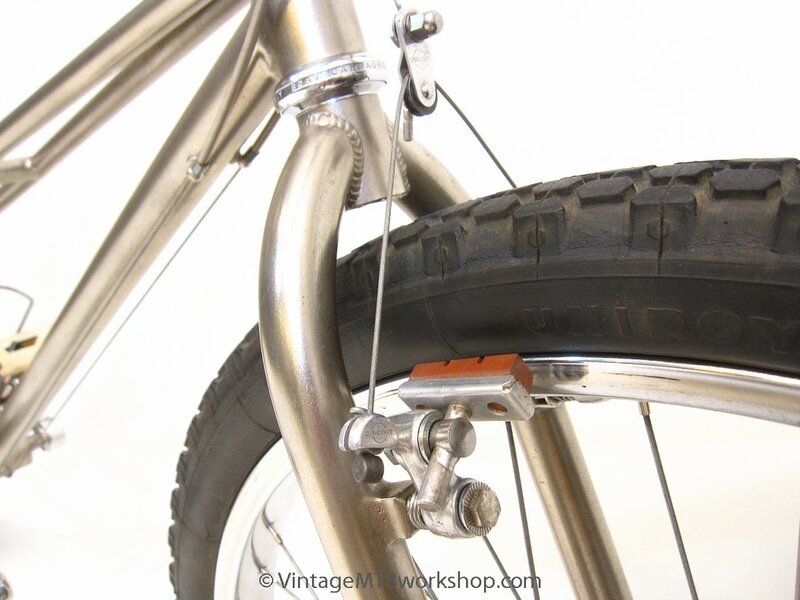 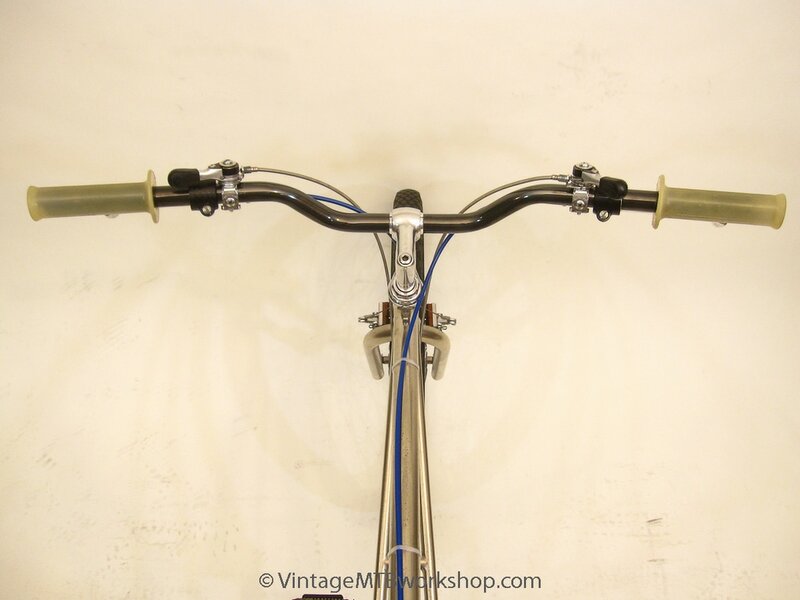 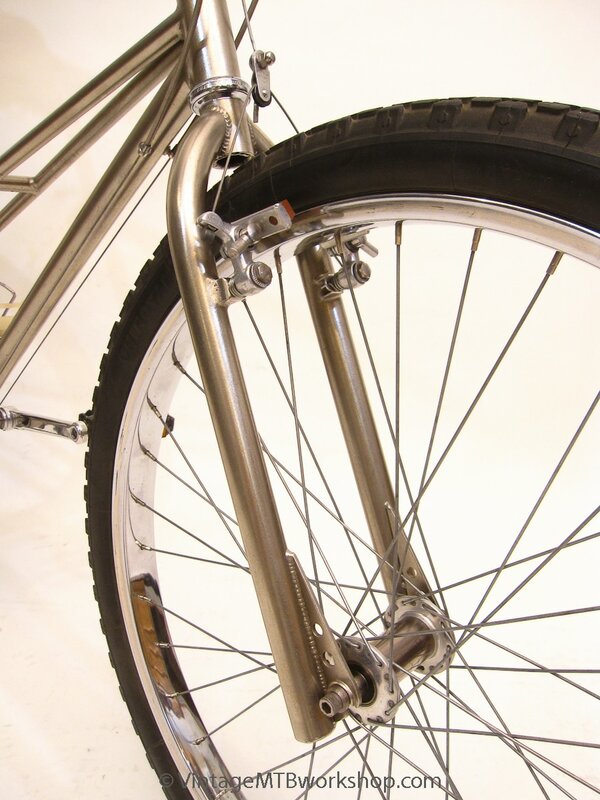 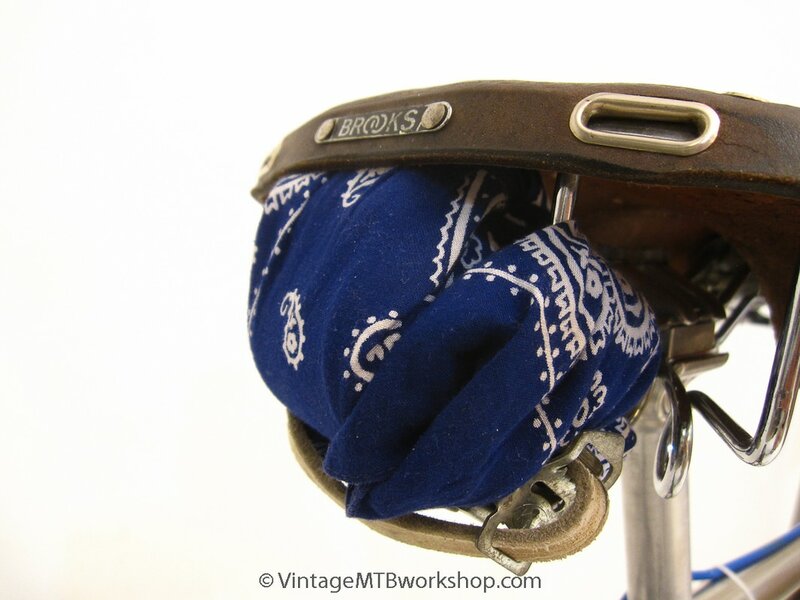 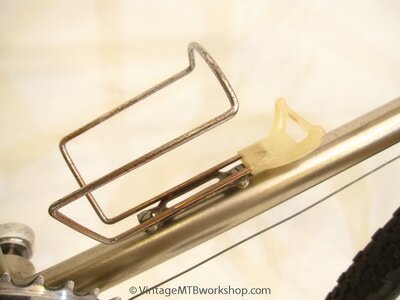 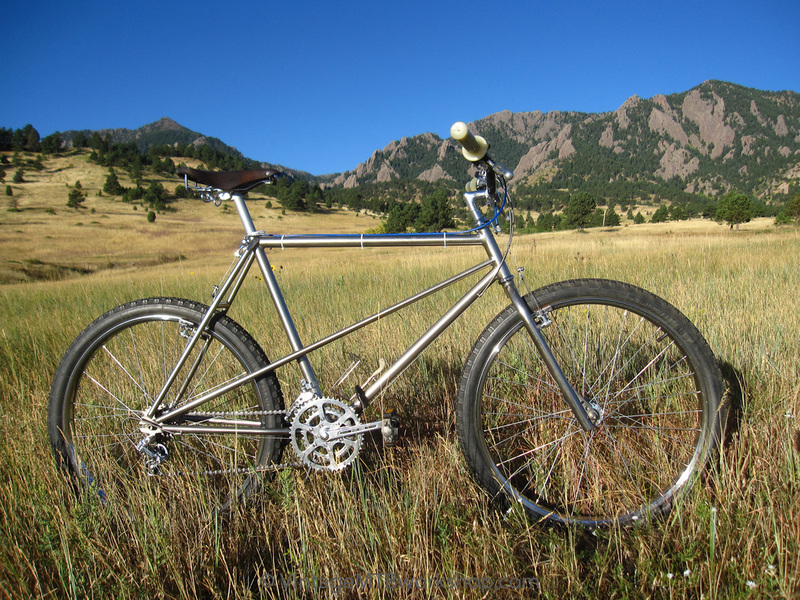 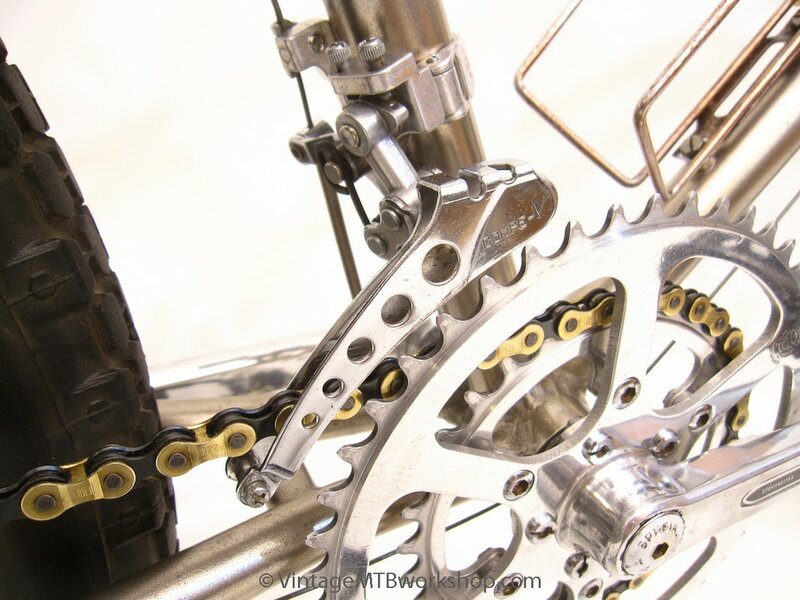 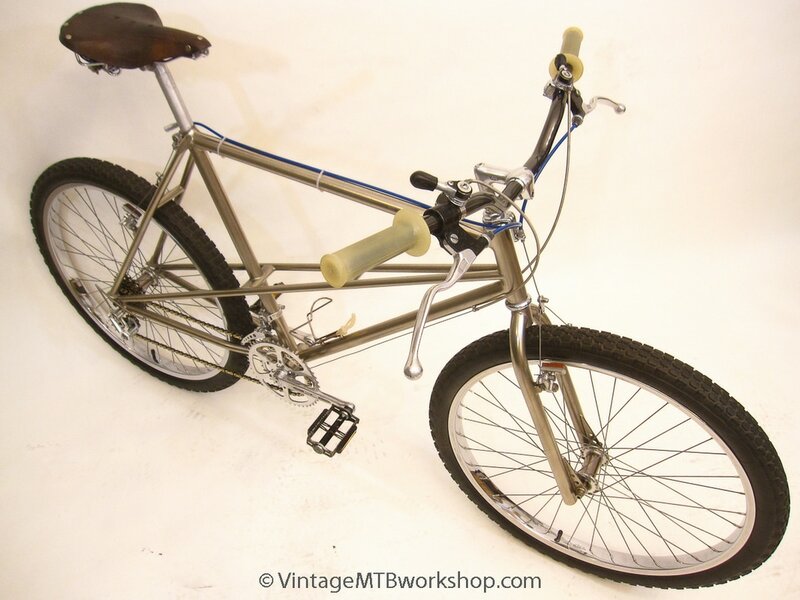 This 1978 Breezer Series I is considered one of the first ten purpose-built mountain bikes. 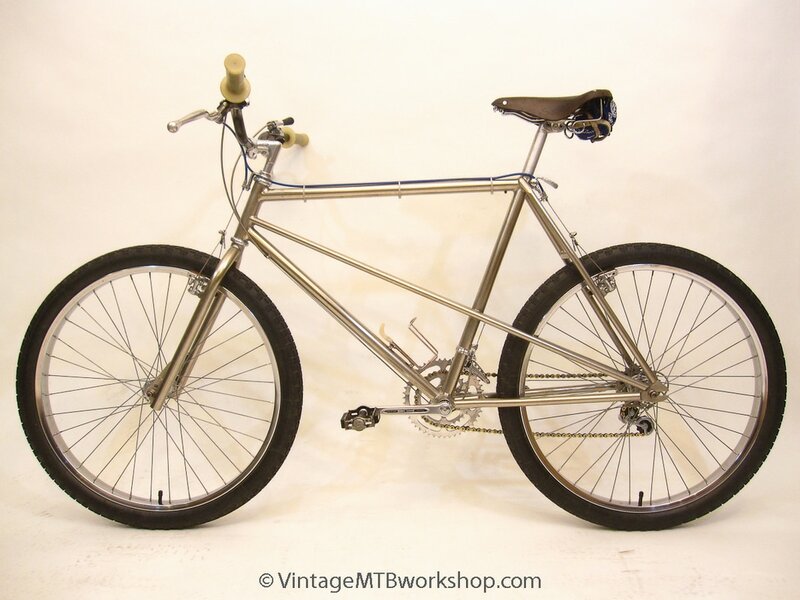 The original owner was one-time Mill Valley resident Fritz Maytag, known as one of the founders of American craft brewing for his ownership and development of Anchor Brewing Company in San Francisco. 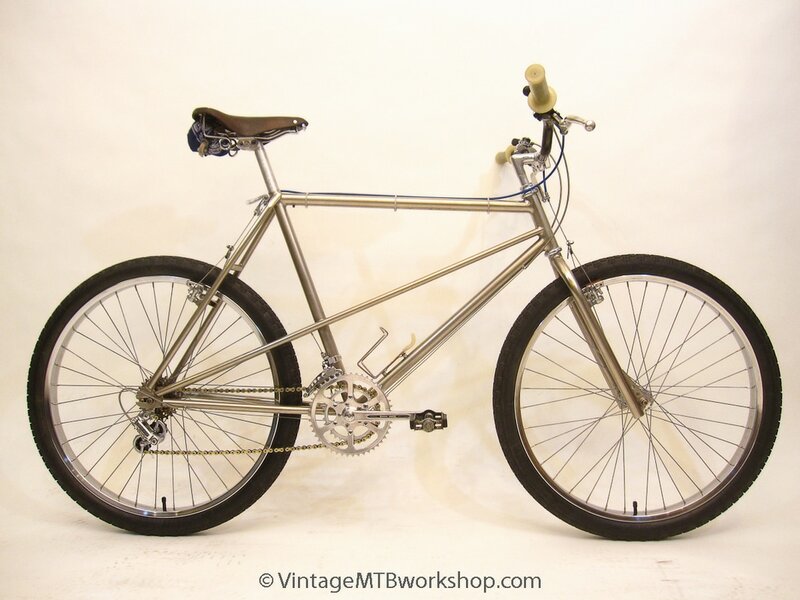 Unlike the other nine bikes which slid and cartwheeled down Repack, this bike was primarily ridden on smoother fire roads and spent a number of decades preserved in a garage in Napa Valley. 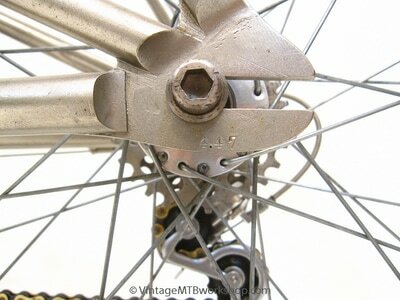 It's original condition is unique among the ten bikes in that nothing changed in 38 years except the chain and the brake pads. 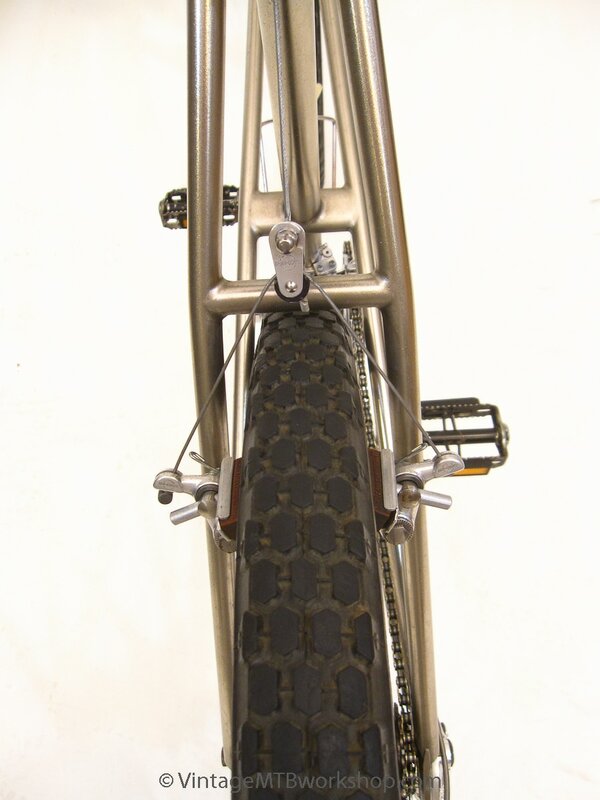 As replacements, Joe Breeze provided the original brake pads off his prototype JBX1 bike, now on display at the Smithsonian. 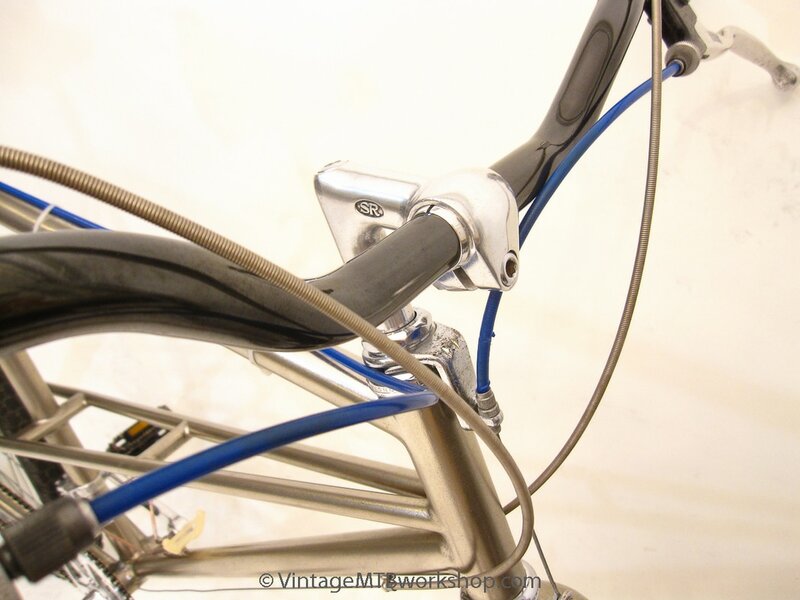 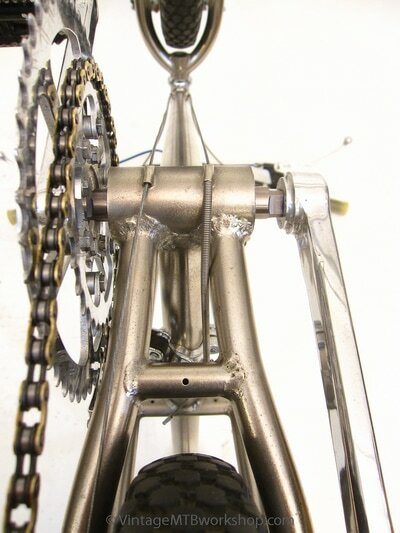 The other nine bikes were upgraded during the first couple of years by their avid cycling owners with the latest in off-road cycling technology. 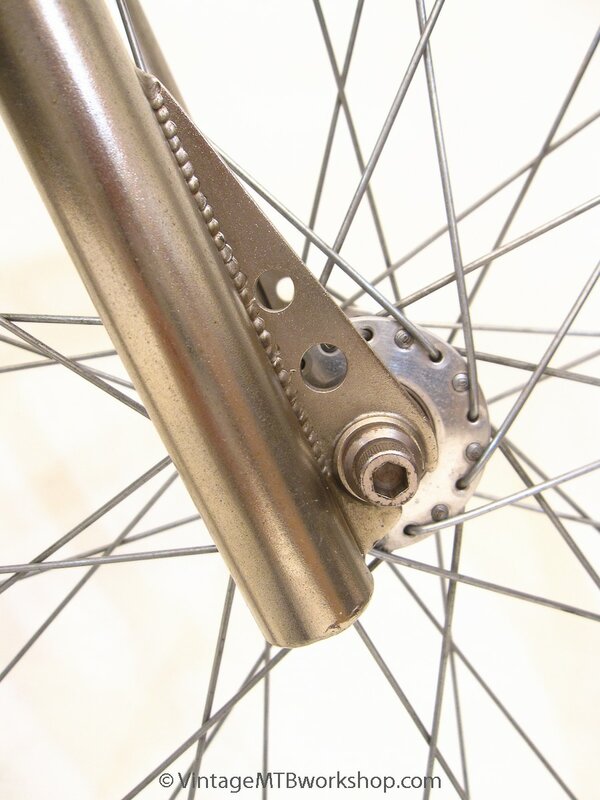 Dia-Compe shorty brakes would be replaced with Mafacs, chrome plated steel rims would be replaced with aluminum rims, and Joe was applying either his stenciled "Breezer" lettering or the art-deco "The Breezer" graphics to the bikes as he saw them around Marin. 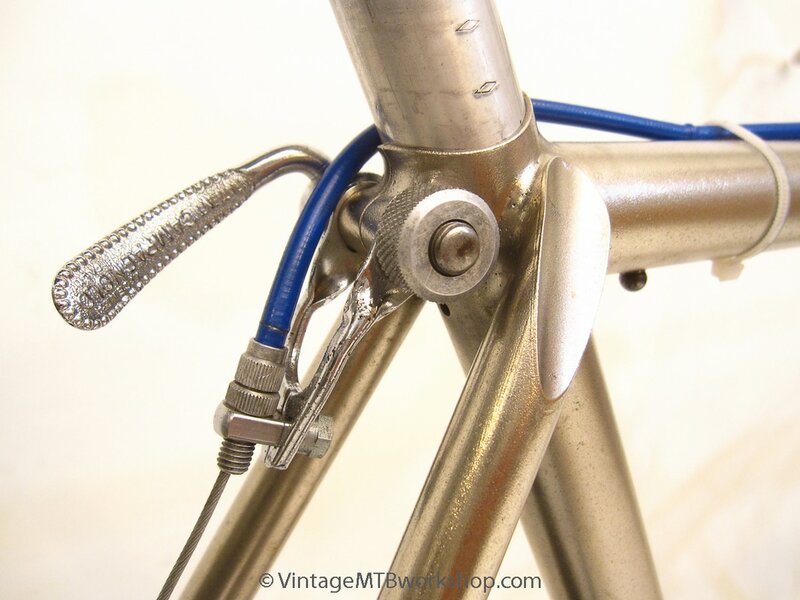 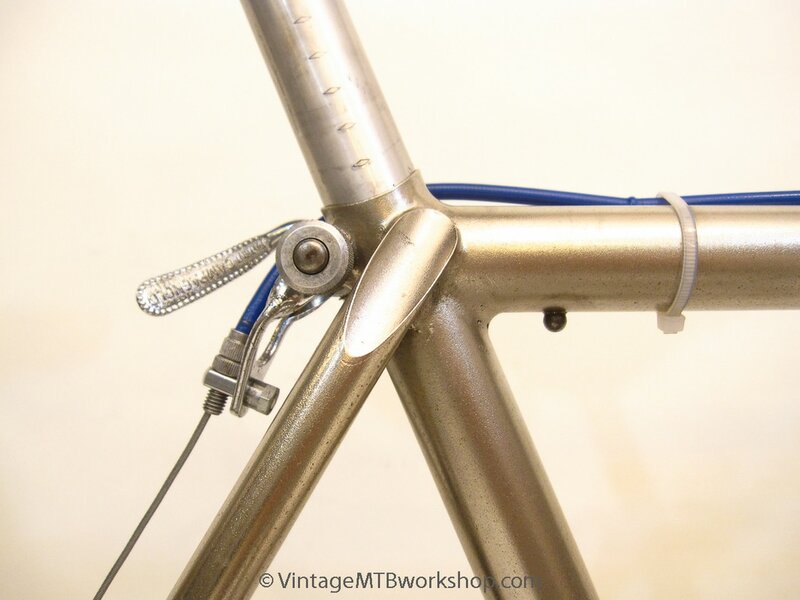 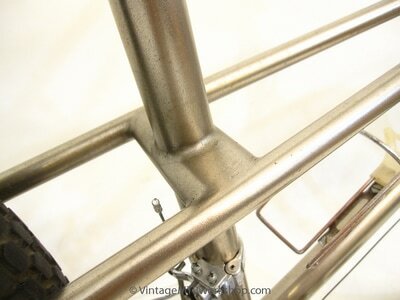 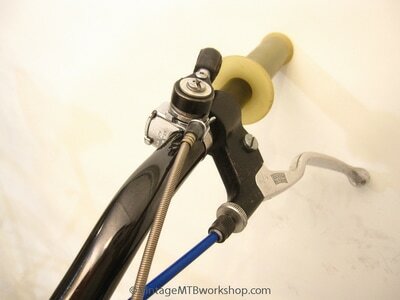 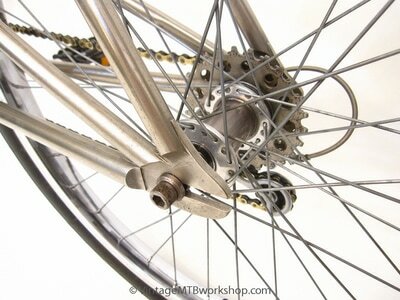 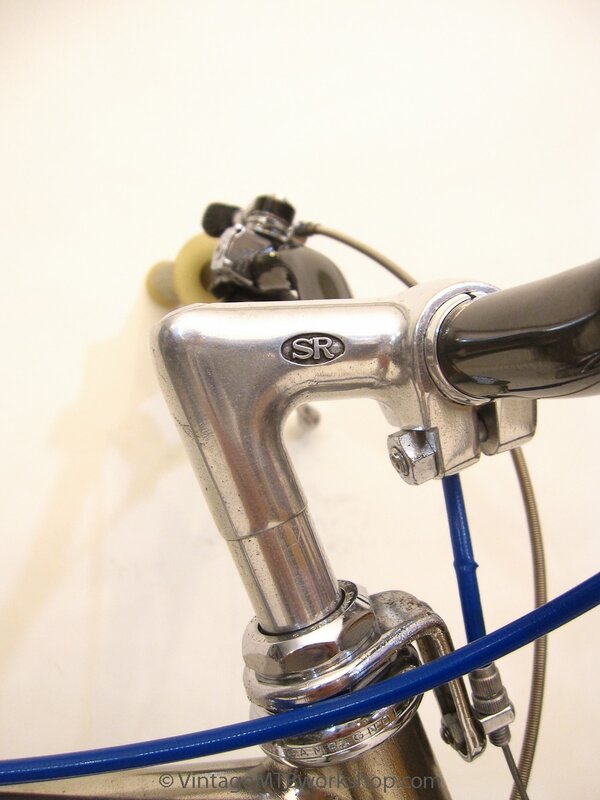 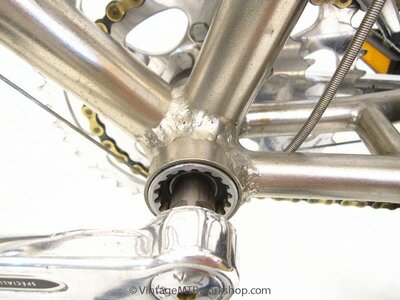 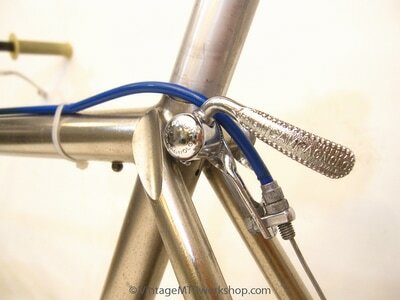 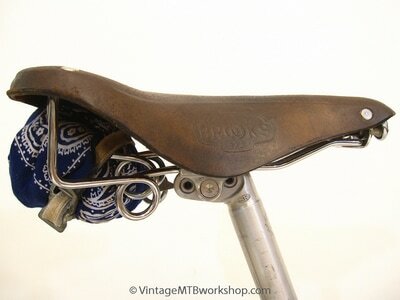 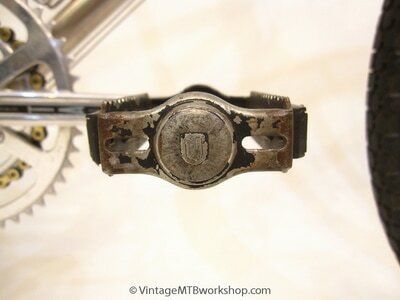 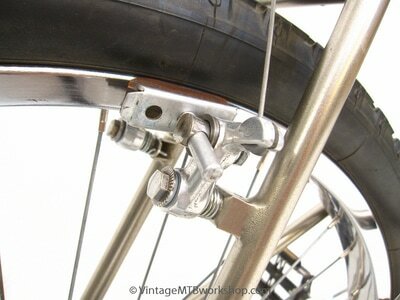 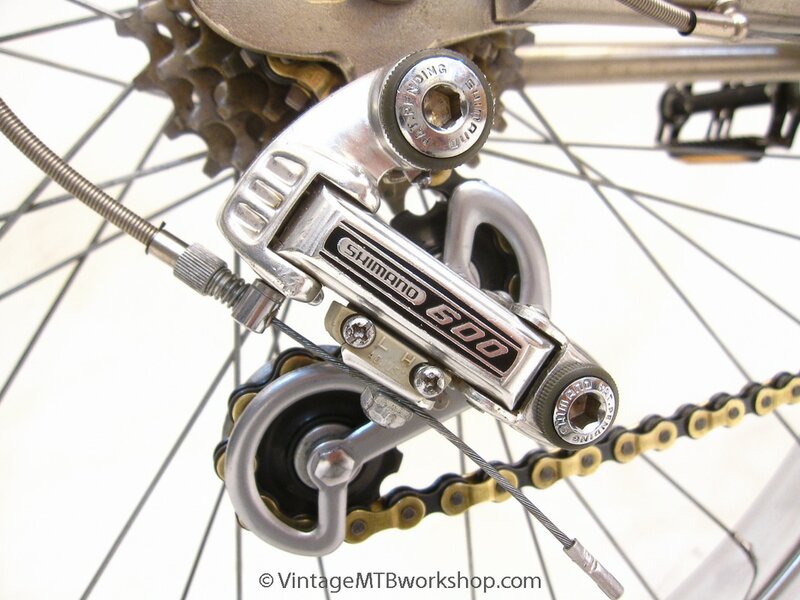 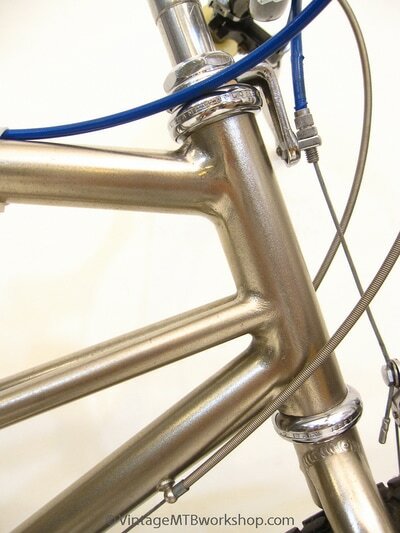 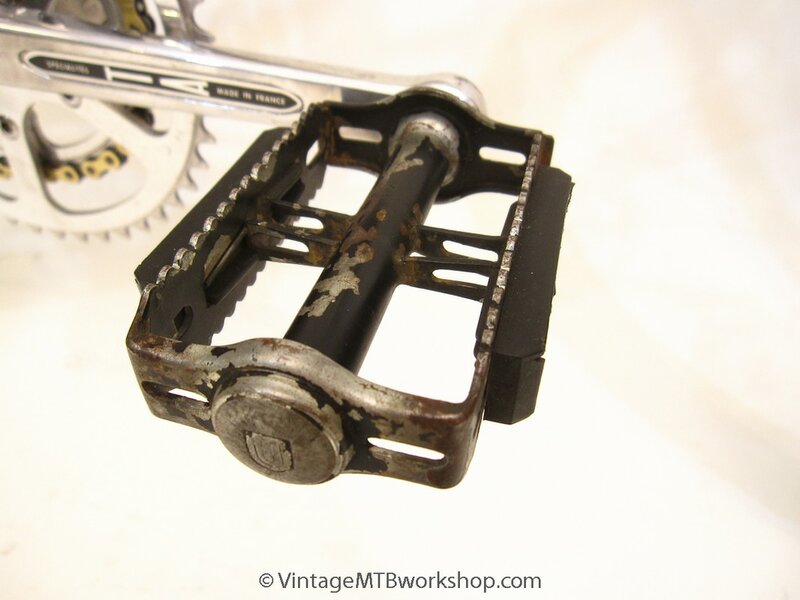 This bike has no identifying marks except the 4.47 serial number on the left-side Campagnolo track dropout. 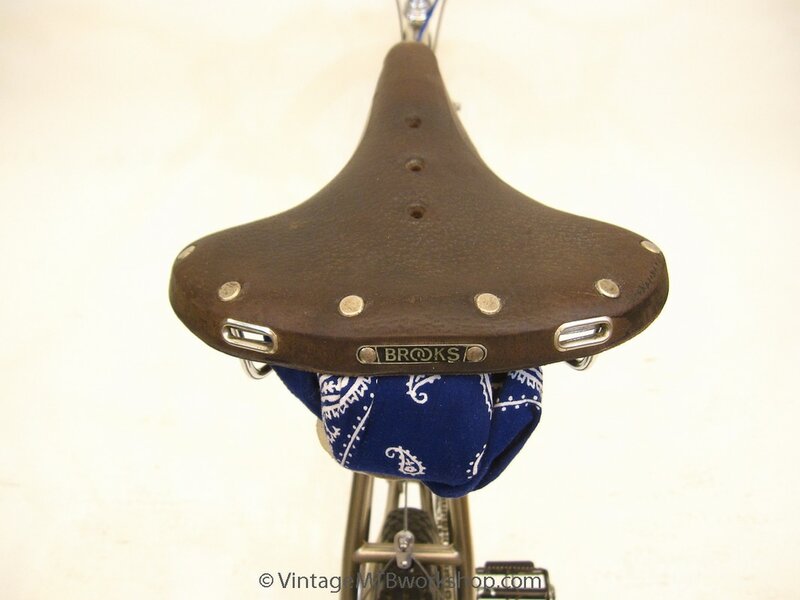 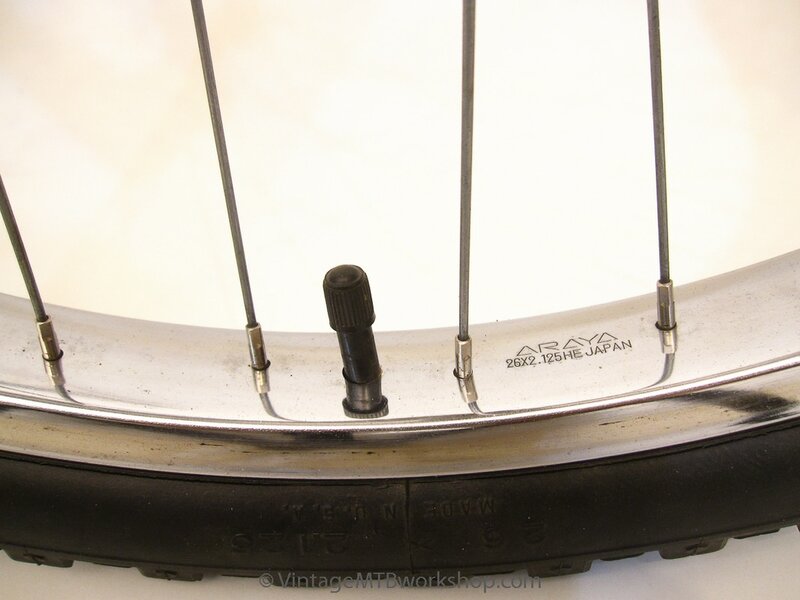 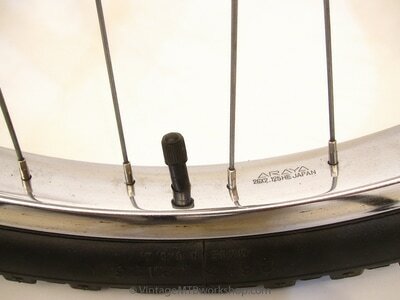 Amazingly, this bike still has the original Uniroyal Nobby tires, the Preston Petty grips, the cables and housings, the Brooks saddle, and even the Union pedals which Joe modified and painted black. 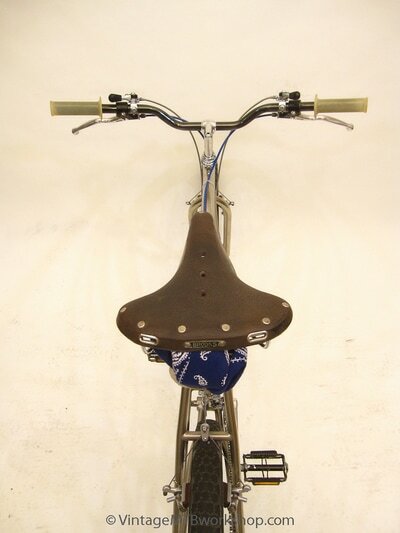 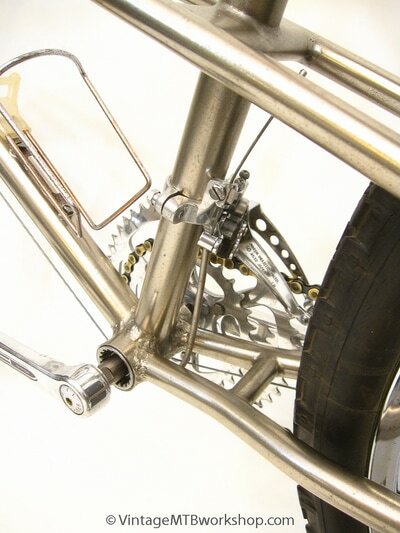 The bike authentically captures how it rolled out of Joe's home shop in Mill Valley during the summer of 1978. Of the ten Series I bikes, 5 are now on display in museums around the world. 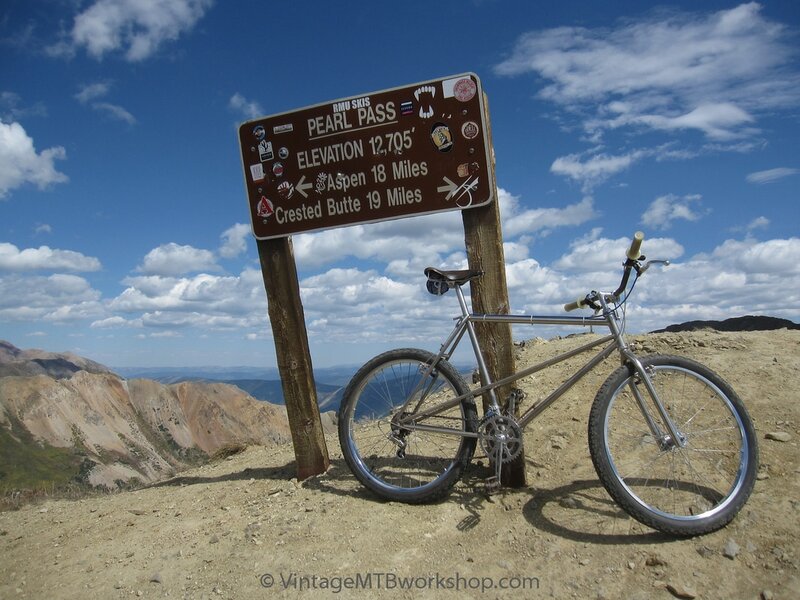 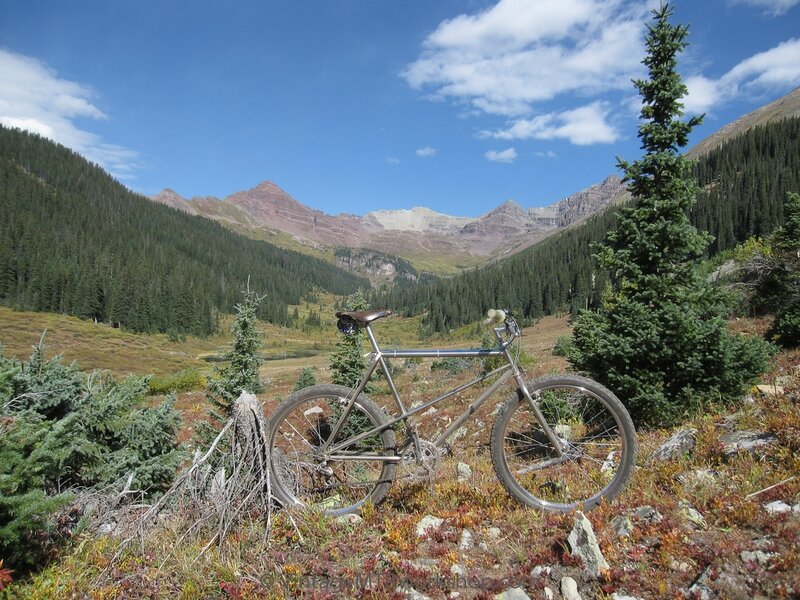 This Breezer was recently ridden in the 2016 Pearl Pass Tour to commemorate the 40th anniversary of that historic event. 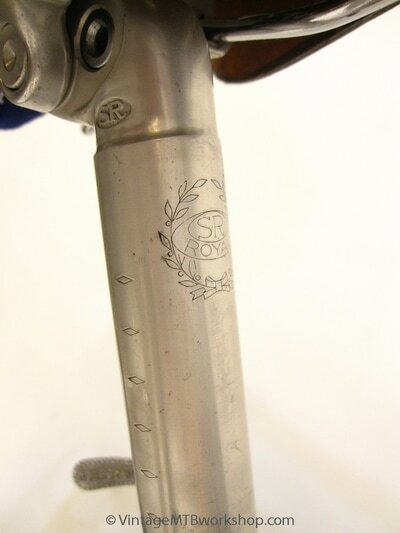 More information can be found on the Breezer Photo Archive page.